Welcome to Emerald Grande! This ginormous condominium complex sits in Harbor Walk over the Bay and when I say this place has everything, I mean everything! Emerald Coast by Owner is proud to be your premiere vacation rental service for the area, and we want you to have the best experience ever! When you stay here, the amenities are endless, just to name a few on site shopping, massive luxurious pool, large exercise room, free boat shuttle to local beaches and the harbor, restaurants such an an upscale Italian spot, bar and grill, a coffee shop and a saloon! The condos range from 1-3 bedrooms, with full size kitchens, flat screen TVs, two bathrooms and two balconies! If you ever leave the complex, the fun doesn't stop there. All throughout this area is an absolute blast! There's plenty of fun things to try such as paddle boarding, parasailing, golfing, deep sea fishing, boat tourism, rock wall climbing, Big Kahuna's Water Park and so much more! When it comes to food outside of the complex, you're still in excellent hands. Places like The Crab Trap and the Back Porch Grille serve you amazing food in a great scene along the coast. You won't regret staying here! 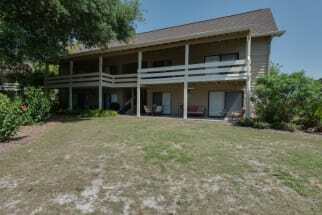 At Emerald Coast by Owner we have many Mid-Destin vacation properties for everyone to enjoy at Emerald Grande. Be sure to scroll down and view our Emerald Grand listings, you can find the property owners contact information on each listing. Book your vacation rental directly with the owner and avoid paying any unnecessary fees!